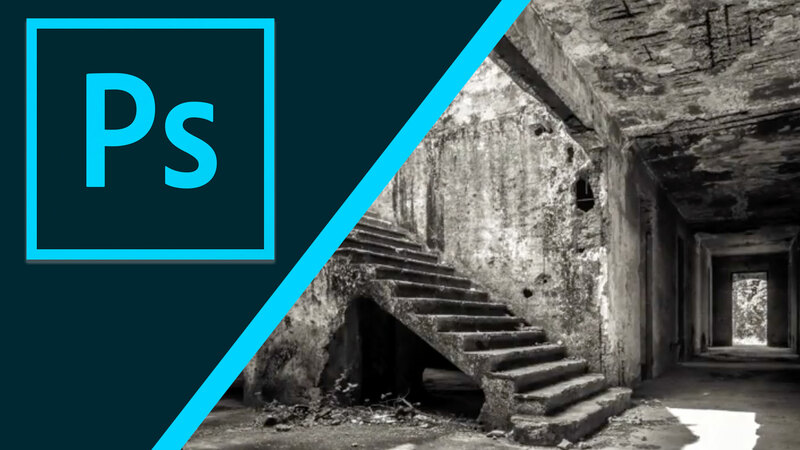 Built into Photoshop are several excellent gradient maps that make it easy to do black-and-white conversion. These are different than the techniques you’ve seen earlier and sometimes I’ll combine them with other adjustment techniques, or even lookup tables to get advanced results. Let me show you how a gradient map is quite useful. Another nice option for the gradient map effect is a black-and-white effect. Now let’s add the gradient map, and from the pop-up list here, I’m gonna choose the photographic toning presets. This makes it very easy to find a nice wealth of black-and-white conversion. And as you see there is different recipes, including some with a very subtle color cast. This allows you to do the black-and-white conversion, but introduce a slight tint that’s really quite natural to the printing process and many photographic papers. As you see here, it just does a great job. And remember, you can combine this. Feel free to add your own black-and-white conversion layer here, and dim the light. Now, using the black-and-white layer, you can just take the on-image tool and start to drag to effect the different areas. As you see here, it’ll make it easy to really target a particular zone. Or you can just use the sliders yourself and as you adjust you can refine the balance between the different zones, giving it a custom black-and-white conversion. In this case let’s brighten up that vegetation. And I want to recover the skies a little bit so I’ll drag the blues down. That’s looking good. And let’s play with the magenta’s, not really affecting this image very much, so I’ll leave that be. But as you can see a custom black-and-white conversion was helpful followed by the gradient map for a nice subtle mapping. Now you can reverse that for a negative image but for the most part you want to go from dark to light. And these photographic toning presets are really quite useful. You can find several that simulate traditional film toning and I really like them. And when combined with a black-and-white adjustment layer you’re in precise control over how the black-and-white image is built up.